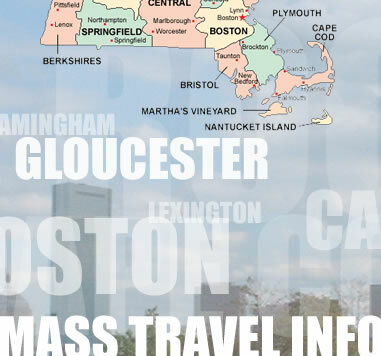 Need Massachusetts travel information? If you live in, or are visiting one of our wonderful cities, you can find all the localized information you need right here. Local events, local business listings and local news. Choose from over 350 city guides across Massachusetts. Just click the Massachusetts city of your choice to get more information or use our search! Hundreds of thousands of people visit our network of 351 MassCities city sites. Our visitors are looking for local information and local business. That means you! You can get a free listing within minutes and get even more exposure for your business from both locals and area tourists. Just click the correct button below to get started. Massachusetts has a shoreline of approximately 1,980 miles on the Atlantic Ocean, Massachusetts Bay, and Buzzards Bay. The state is 190 miles, east-west, and 110 miles, north-south, at its widest parts. If you wanted to see it all, it would take you a while. The various cities are very diverse and each have something different to offer. The northern, or New Hampshire-Vermont border, runs almost due east and west for 135 miles; the western, or New York boundary, is 49 miles long. On the south, Massachusetts borders Connecticut for 91 miles and Rhode Island for 65 miles. Archaeological excavations have revealed that the earliest human beings arrived here more than 10,000 years ago. Archaeologists call these earliest settlers "Paleo-Indians." They are the ancestors of today’s Native Americans or Indians. The descendants of the Paleo-Indians lived in small, mobile groups, hunting, gathering, and fishing. Many other historical events have taken place in this state such as the "Boston Massacre" of March 5, 1770, when British soldiers of the garrison stationed in that recalcitrant town fired upon a taunting crowd of citizens. Samuel Adams, a famous Bostonian, organized and directed a group of Bostonians disguised as Indians and dumped the cargoes of three East India Company ships into Boston Harbor. The "Boston Tea Party" has since become one of the most famous historical American events.